Description This Alpharetta, Georgia hotel has an indoor pool, an outdoor pool, free internet access, non-smoking guest rooms, an on-site restaurant and free breakfast. 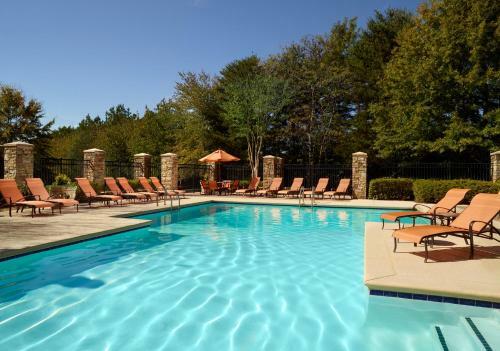 Atlanta Marriott Alpharetta provides our guests with amenity-filled accommodations a location near area attractions two pools complimentary Wi-Fi and parking. 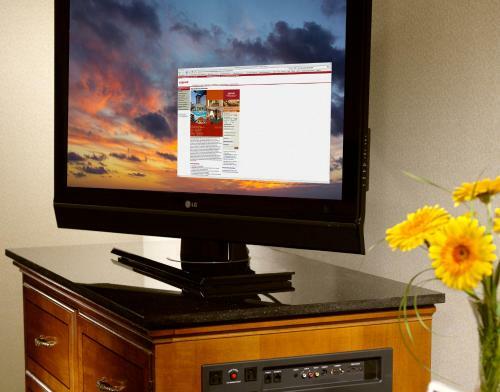 This eight-floor property has 318 rooms all equipped with flat-panel cable TVs iPod docking stations seating areas large work desks sumptuous beds free newspapers and Wi-Fi. The on-site restaurants offer three healthful meals a day. 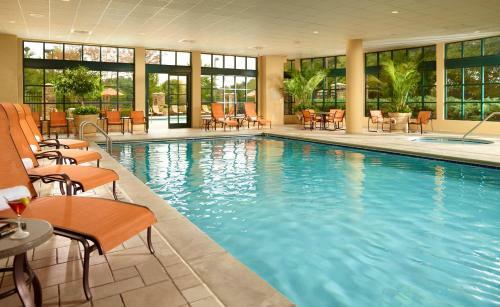 The hotel also has a business center concierge services lobby bar fitness facility indoor pool heated outdoor pool and hot tub. Parking is on the house. 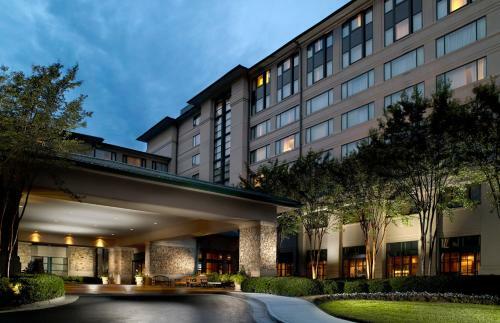 Atlanta Marriott Alpharetta is situated close to several restaurants as well as big area businesses such as ADP. 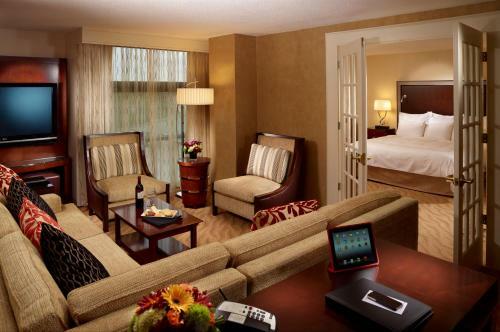 The hotel is four miles from shopping at North Point Mall and two miles from concerts at Verizon Wireless Amphitheatre. Downtown Atlanta is half an hour away and Hartsfield-Jackson Atlanta International Airport is 31 miles. 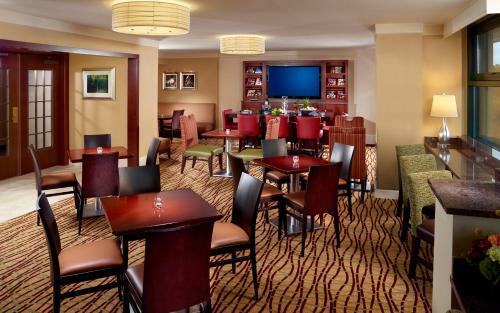 Add Atlanta Marriott Alpharetta to your free online travel itinerary.